Part of the MODA Guernsey Collection - 18644 17. 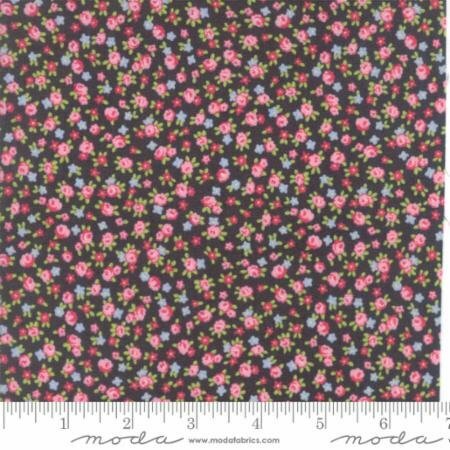 Brenda Riddle Designs Floral Isola Small Floral Grey - Charcoal. Dark grey fabric with a small floral print in pink, green, red and light blue. 100% Cotton; Machine Washable.